Empowerment of the kids: Having taught html seasons one and two, I have really enjoyed seeing the kids go on to use what they learnt on their own projects. They have been empowered with the confidence to build a website with html – it’s great to see their confidence growing. Voluntary atmosphere: I worked as a paid teacher before as a secondary maths teacher and as a private tutor. 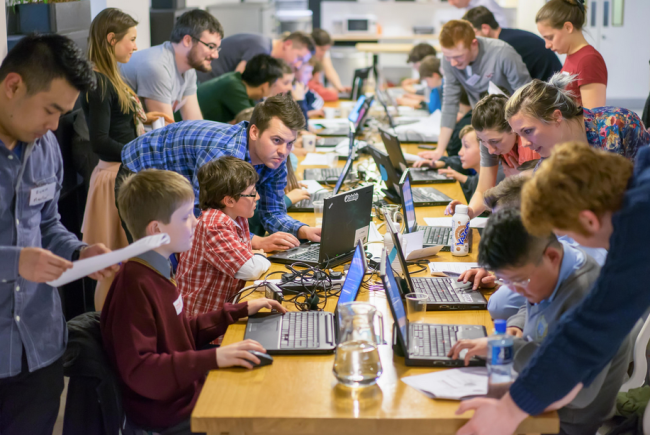 The atmosphere in coderdojo is so much better than that because there is a feeling that everyone is choosing to be there out of good spirits. There’s no pressure or expectations from students / parents / fellow Mentors – i think that’s a good basis for creative cooperation. Learning opportunity: Beyond having a few basic lessons in html 20 years ago, I am pretty much self-taught in any html / css / php knowledge. Being part of this course has been a compelling reason to learn a bit more about the basics and get a good solid foundation in the subjects. As the saying goes, if you really want to learn something, try teaching it.